Mark and Sarah Hardy really know a thing or two about making fine cheese. 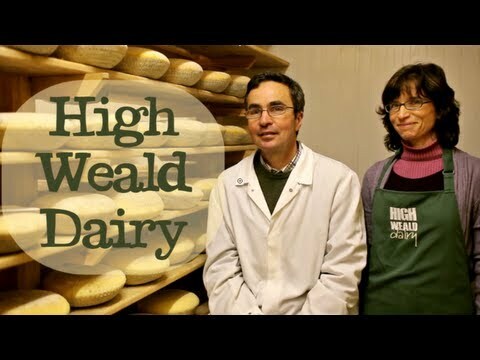 The pair have been using absolutely lovely local sheep’s milk and turning it into wondrous wedges for over two decades now. Starting out, they were based on Mark’s small family farm in Duddleswell, Sussex, selling just the milk from their flock of British Frieslands. It didn’t take long for the milk to become a hit, and before long, their own flock had grown, and other dairy sheep farms were supplying them with milk. The natural next step was to start making cheese, and very good cheese at that. Needing more space, they found an ideal spot not too far from Ashdown Forest – where Winnie The Pooh had all of his honey-inspired adventures. There’s now plenty of room for them to churn, age, smoke and package their dreamy cheese. Brilliantly, Mark and Sarah still do things in the same way they did when they first started all those years ago: with their hands, and a whole lot of passion. Greek style salad cheese made from Sheep's milk.